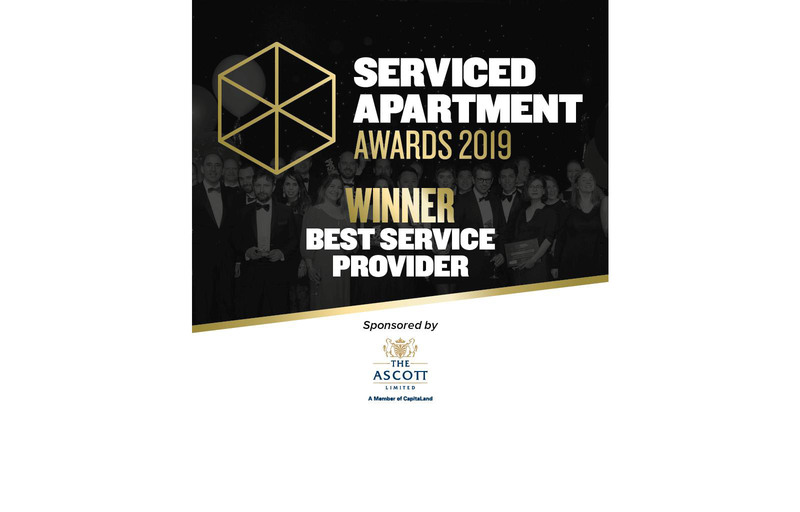 Frankfurt, 03rd April 2019 — The Frankfurt-based start-up Acomodeo, the world's leading digital provider of serviced apartments, won the internationally acting consulting firm zeb.rolfes.schierenbeck.associates GmbH (zeb) as a new customer. As explained by Dr. Christian Spieker (Head of Corporate Services): In the future and in addition to our existing options, our travel management team will book long-stays starting from 7 nights or more via Acomodeo's solution. "With Acomodeo we found a partner which can provide us with serviced apartments worldwide. This leads not only to an optimization of our travel budget but also brings many advantages for our employees while they are traveling on long-period business trips. Furthermore, it is important for us to have found a professional booking tool that is compliant with our travel policy." Currently, zeb has 18 corporate locations in 14 countries and due to the dynamic development of the financial sector, it was important for the client to find a provider that could meet the worldwide demand for accommodation. In addition, management consultants also see the clear advantages of a serviced apartment compared to a classic hotel room, especially for longer business stays. In addition to increased comfort and space, another aspect is important: Since all accommodations listed on Acomodeo are quality-assured and offer professional payment, all bookings are compliant with the company's travel guidelines. Acomodeo works exclusively with professional providers and clearly distances itself from private sharing economy products. 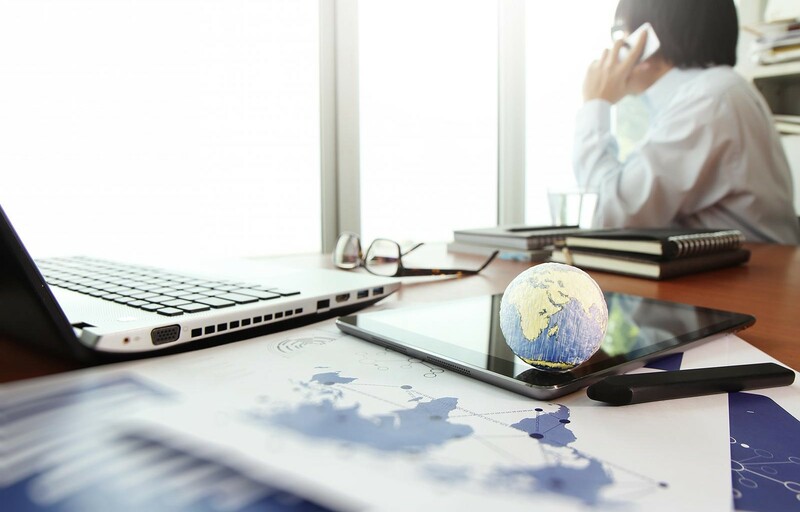 As an added bonus the customer expects a significant optimization of the booking process as well as massive time savings due to automated processes. During the contract negotiations, in addition to the technical solution, which can easily be integrated into existing infrastructures, the degressive price advantage (the longer the stay, the cheaper the price per night) was also convincing. For the cooperation with the management consultation resident, Acomodeo sees a saving potential of approximately 40% for long-term stays. 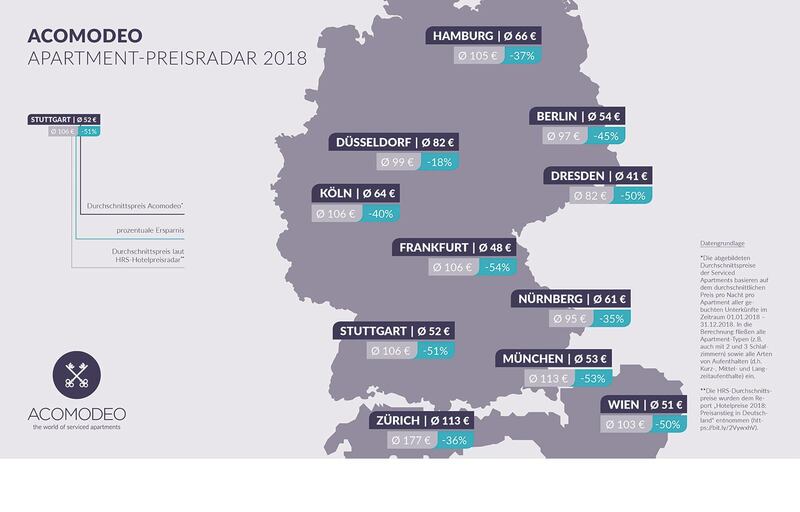 When speaking of "saving potential", Acomodeo refers to the average price per night per apartment compared to an average hotel room price per night (all other factors such as location being equal). This comparison was made for the top 10 accomodation locations of the client.